The Collomix gyroscopic mixers offer an extensive range of application for the most various materials, like paint, plaster, printing ink, adhesives, powder-­based or chemical substances, etc. These mixers are perfect for applica­tions in retail, wholesale and industrial produc­tion. 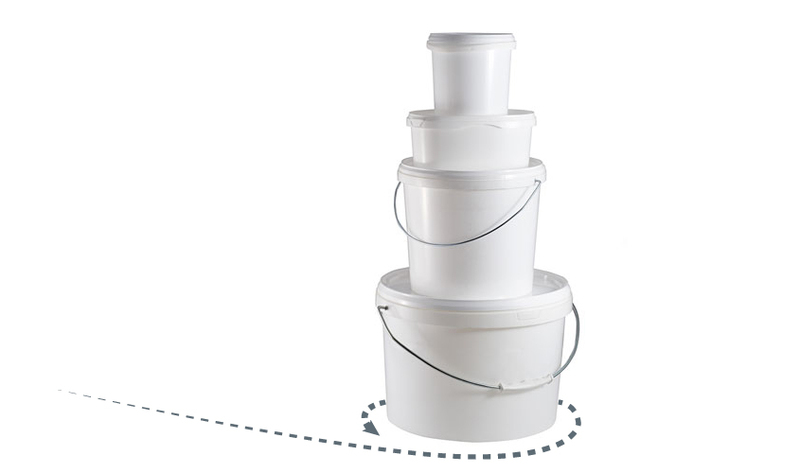 The mixing container rotates around two axes aligned perpendicularly to each other. 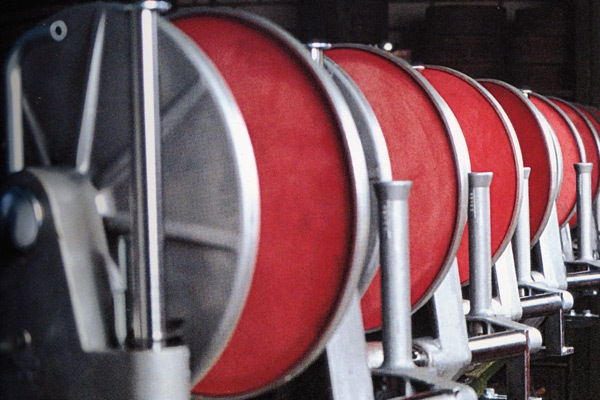 Using centrifugal forces enables a perfect mixing even of materials with a higher viscosity. 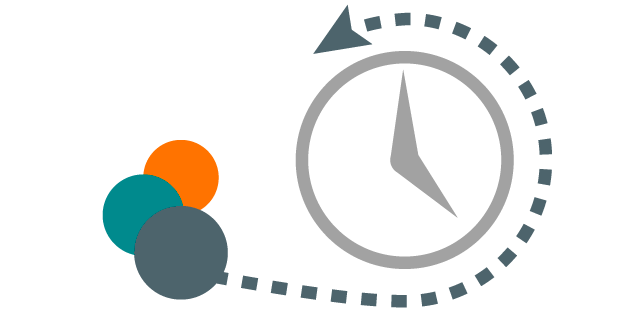 The efficiency in all industrial areas of application is a critical aspect in this regard. The Collomix gyroscopic mixer perfectly homogenises even the most challenging and heaviest materials in shortest time. Mixing in closed containers enables performing the mixing process independently of external influence factors, like hygiene regulations, emissions or cleaning, etc. Whether production facilities or laboratories - these mixers can be deployed at ease in the most various industries and locations. 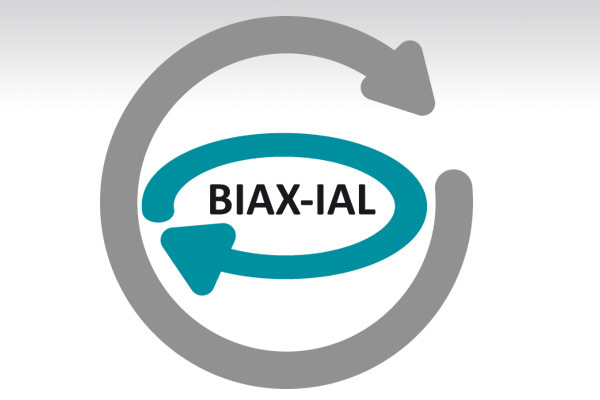 The biaxial mixing process enables an especially careful handling of mixing materials and containers. The mixing process has no influence on any properties of the most various materials. 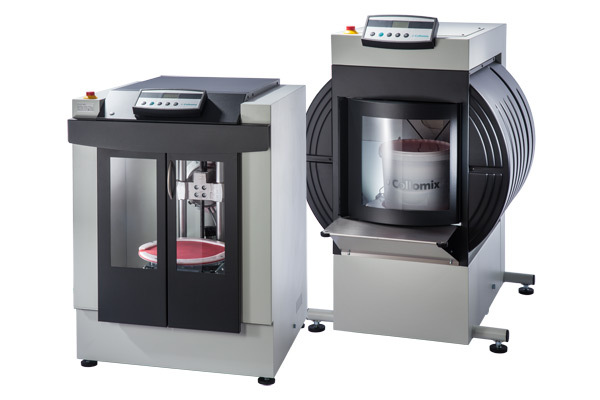 Whether small batches, continuous operation or high performance industrial applications - the Collomixoffers the perfect gyroscopic mixer for every application and mixing job. The proven and effective technology of the Collomix gyroscopic mixers excels with its outstanding durability and significantly reducing service costs. Maximum ergonomics meet splash protection design The ROTA 400 gyroscopic mixer features a unique patented protection mechanism that protects the drive and clamping components from contamination. Back-friendly feeding of the Rota 400 thanks to the innovative push & slide concept. Outstanding ergonomics in production operations. The Biax 45 P is designed especially for production operations in industry and paint wholesale, in conjunction with roller conveyor systems. Due to its powerful drive concept, the BIAX 45 P provides maximum output and short mixing times with mixing materials of up to 50 kg. Ergonomic and time-saving mixer loading thanks to a push & slide system that doesn’t strain the back. Perfekte Mischergebnisse bei vielen Industrielacken im Produktionsprozess.